From the moment David Street Station was first dreamed up, it was always meant to provide free events for the Casper community to enjoy. There’s never been conversation about if or how we can sell tickets or make revenue by charging the community that attend and participate in events. You’ve probably heard, we have several programs that create revenue for David Street Station to operate and host events. 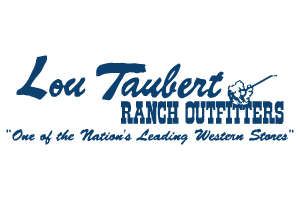 These programs include Partners in Progress, Event Sponsors, and FRIENDS of the Station. As we’ve promoted these programs throughout the summer, we’ve heard positives, negatives, and everything in between. At the least, we want you to know, we always hear you and are always listening. One of the comments we’ve heard several times is along the lines of: why aren’t you charging for events to generate revenue for operations? So, we want to address why David Street Station is free and why, if we can help it, it will always be. This is the heart of what David Street Station is. A place where everyone in the community should be able to enjoy and experience the events regardless of cost or other barriers. By remaining a free venue (there will be a small fee for ice skating), we avoid excluding anyone in our community. As a community gathering place, this is a critical point. 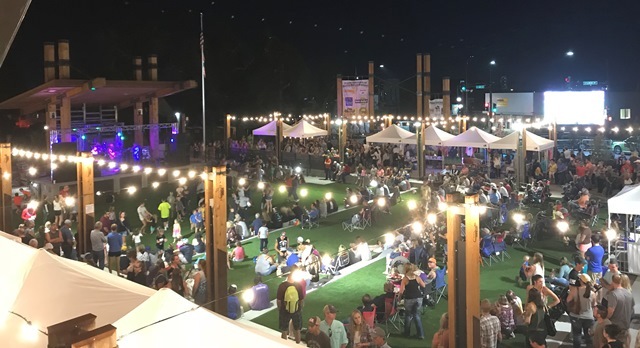 Hundreds of the thousands of visitors have no doubt resulted in increased dollars spent in the downtown area benefiting restaurants, retailers and other businesses directly, tax dollars, and potential jobs. 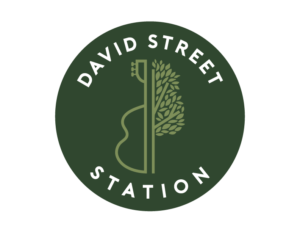 As a free venue, David Street Station brings individuals and families downtown allowing them to spend their money at downtown businesses without overextending them. The pride our community has shared in David Station has been overwhelming. It is a part of our community that we are all happy to show off. Beyond that, through partnerships with business, artists, and entertainment; sponsorships with community businesses; and the friendships created or deepened at David Street Station, this facility celebrates everything Casper. This means we should be totally inclusive and celebrate without cost barriers. If you look around David Street Station, you’ll see families, friends and strangers enjoying in conversation and celebration. There is nowhere else in our community that provides this ongoing opportunity. Providing a free venue promotes relationships and friendships between all in Casper. The events, facility, and entertainment, promote an exciting, vibrant atmosphere and environment. It provides a community gathering place where parents make memories with their children and one day, those same children will make memories with their children. At David Street Station we can slow down, smile, and appreciate the little moments in life. Because David Street Station is a free venue, you can make it yours. You can attend every event, have coffee every morning, schedule a weekly dinner date with an old friend, or become regular users of the splash pad or ice-skating rink. It doesn’t matter. It’s yours and you can make it whatever you want. In our first summer season, David Street Station saw more than 200,000 visitors. This proves the interest, need and value of what we’re providing. One thing we’re sure of is if we were charging for the more than 50 events we’ve planned and executed since June 1, not near that many people would participate. No Replies to "Why David Street Station Must be Free"